Coming out to family can be tricky, and sharing the good news with grandparents is often outright discouraged. But one woman learned just how cool her grandma is when she came out as bisexual. Rather than fret about her granddaughter’s future or express confusion about her identity, Suna Huls’ grandmother this grandma showed her love and support in a classically grandmotherly way. But is wasn’t just any sweater. 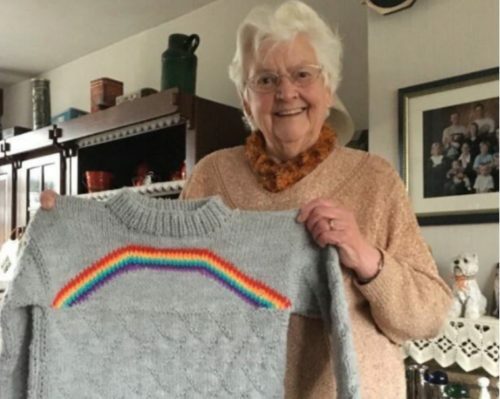 Grandma knitted a sweater with a big rainbow splashed across the front. Much to the surprise of Huls, who lives in the Netherlands, a photo of her grandma holding the sweater went viral. The world could use more grandmas like her.